Set on a small courtyard of original buildings in the grounds of the beautiful house at Cosawes Barton, Carvosso Mill was newly converted for the 2013 season. The property has been fitted out to the highest of standards in a really comfortable style by the very caring Owners. A wonderful spot, the perfect location to either explore Cornwall or as a base to the Falmouth area, Cosawes Barton is a magical place. Dogs are very welcome and the Owners have 17 acres of woodlands and walks where you are welcome to stroll around at your leisure. Carvosso Mill is set out all on one level with ease of access for all. The conversion has a fantastic octagonal full height space which was originally the farm horse engine house or ‘gin-gang’ where a horse would have turned the spindle and powered the farm threshing machine. This space now forms the superbly presented open plan living room and kitchen. The bedroom areas would have been the stables for the hard working farm horses. Ground Floor only: Living room / kitchen / dining room with fully fitted hand built kitchen with a cosy wood burning stove. A corridor leads to the master bedroom with 5' double bed with TV and en-suite bathroom with over bath shower & WC. Second double bedroom with 4'6" double bed followed by a twin room. There is a family shower / wet room & WC. Exterior: There is a private garden for the exclusive use of guests at Carvosso Mill. External furniture is provided and BBQ facilities are available. A separate storage room is available for bicycles, surfboards, boots & buggies. There is also a games room available in the courtyard and a climbing frame in a communal field. Electricity, heating, bed linen & towels are all included but you will need to provide your own beach towels. Up to 2 well behaved dogs are permitted at a small additional cost of £35 per dog / per week. Regrettably no smoking is allowed. Parking is available in a designated area for 2 vehicles. There is a cot & high chair available upon request. There is a ramp to the front door, extra wide doorways and a wet room style shower. Ponsanooth is a traditional Cornish village with a very particular heritage. It is home to the Kennel Vale Nature Reserve – a fabulous unspolit place to explore, walk and take in the wildlife and scenery of this lovely place. It also provides a great base for exploring the county more generally, being equidistant between Truro and Falmouth as well as being only a short drive to the North coast. Cosawes Barton is approximately 15 minutes’ drive from Falmouth, 20 minutes from Truro and 30 minutes from the North Coast. The Cathedral City of Truro is in the heart of Cornwall and offers a wealth of facilities for the visitor. Dominated by the stunning cathedral, it is one of the south west's most attractive cities. Lemon Quay plays host to many events throughout the year including the Cornwall Food & Drink Festival in the Autumn and the famous Truro Fatstock Show just before Christmas. Regular farmers markets occur every Wednesday & Saturday and there are also arts & craft markets on Saturdays. There is a wonderful range of shopping for the visitor including a wide range of more specialist stores. It really is worth a wander through the back streets and alleys to find some fabulous little independent shops and boutiques. For those wanting to take in the fresh air of Cornwall and blow away all stress, the opportunities for enjoying your time in this location are almost endless. From the sailing courses at Mylor Harbour or Stithians reservoir which are available throughout the summer (ideal for older children looking for an active holiday), kayaking days, fishing at Argal Reservoir, glorious cliff walks on the coastal path or cycling the old mining trails – simply take your pick. The choice of local sandy beaches is also stunning – from Gyllingvase & Swanpool in Falmouth which are wonderfully sunny south facing spots, to the quieter and more secluded beaches of the Roseland (a particular favourite of the children of the current owners) which are only a ride on the King Harry Ferry away. You can take a longer boat trip to beautiful St Mawes for the day or sail around the estuary stopping off at either Trelissick Gardens or Smugglers Cottage for a cream tea! Guest from Droitwich Spa stayed for 10 nights. We booked this without any prior knowledge of the area but it turned out to be a perfect location for our needs. We had some friends who stayed with us for a few days and they have two labradors. Originally we had booked the adjoining cottage but when she knew we would have dogs staying the owner (Louise) recommended Carvosso Mill as it had direct access to an enclosed garden. A small point but a thoughtful one which added to our holiday experience. The accommodation lived up to it's promise and the surrounding grounds were wonderful for a quick walk with the dogs or just a stroll listening to the birds. The owners were just round the corner and were attentive without being obtrusive. In conclusion, it did everything it said on the tin and we would certainly recommend it as long as you are not seeking to walk to numerous pubs or restaurants every day. There is no shortage of both pubs and restaurants and we visited both, but we did have to drive to them. It's also an ideal location to access all the lovely beaches and quaint villages and towns in the area. Guest from Bridgwater stayed for 14 nights. Our 2nd stay at this fabulous location. Couldn't ask for more, Quiet, comfortable, central & beautiful. 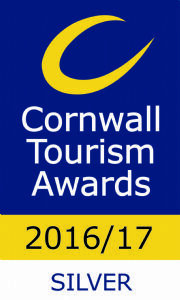 A lovely relaxing break, ideally situated for exploring Cornwall. Beautiful property in lovely grounds. Guest from Wilton-le-wear stayed for 7 nights. Guest from Horsham stayed for 14 nights. Another wonderful stay at Carvosso Mill. Superb accommodation in a beautiful location. Great base to explore this part of Cornwall. Would thoroughly recommend. This was our second visit to Carvosso Mill and we have already booked our third! It really does tick every box. The location is perfect, being mid way between Truro and Falmouth and central for beaches, shopping, walks and good pubs. The dogs loved the gardens and our children loved the play area, the chickens, the modern spec, especially the power shower, the spacious gardens and the wifi. Having stayed in various cottages in Cornwall over the past 15 years, this is the tops. We cannot recommend Carvosso Mill highly enough. Guest from Swanage stayed for 14 nights. Guest from Yelverton stayed for 7 nights. Overall the Mill was very comfortable, but a few adjustments could be considered. The mattress in the double bedroom was rather uncomfortable until we turned it over, no problem sleeping after that. Curtains for the patio doors in the lounge, and likewise some form of covering for the small lounge window in the wall level with the entrance drive, would improve the privacy factor. We loved the wet room but needed somewhere to place shampoo, etc. and a few hooks would have been very useful, also a handle or stool for the slightly unsteady. We have just returned from Carvosso Mill. It exceeded our expectations in every way. Beautiful relaxing setting. Wifi very fast which pleased our 3 teens! Cannot recommend it highly enough and we are definitely returning next Summer! Thank you so much Lucy. We look forward to welcoming you back soon!! Please take advantage of our early booking discount if you are thinking of next year! Perfect accommodatiom, perfect location and only an hour drive to everywhere we wanted to visit. Customer service from the owners was perfect and the fresh eggs twice was an added bonus. Definately wont be our last visit! Thank you so much! We very much enjoyed having you to stay and look forward to welcoming you again soon! Carvosso Mill - the barn is truly wonderful and the grounds are stunning. We will definately be back. The pictures on the website make it look great but the reality is even better!!! I will recommend it to all my friends and family. The garden is secure and very dog friendly. We took my elderly parents and they just loved it. Guest from Marlow stayed for 7 nights. Guest from Swanage stayed for 7 nights. After 40 years of self catering this is about the best we have stayed in. The accomodation is excellent clean and warm. The personal welcome and service is outstanding. The woodland garden is great for exercising the dog who syas she enjoyed the stay as much as we did. Altogether excellent value for money. |We will have to stay longer next time. Carvosso Mill ticked all of our boxes. We needed a convenient location for a family gathering and Carvosso Mill proved an excellent choice. The quality accommodation was warm and comfortable. It was particularly convenient for an elderly disabled member of our party as the whole property is on one level, with no steps, (although the gravel driveway proved difficult for wheelchair use). Additional impressive features were the lovely surrounding gardens, the communal games room and the thoughtful, kind service from the owner, including a generous welcome basket, containing interesting, locally sourced products. A fabulous stay in a truly luxurious barn conversion, I can assure you that you will not be disappointed if you book your holiday here. The owners go out of their way to make you feel welcome down to the finest details such as tea, coffee and milk for when we arrived, even some biscuits for the dogs. An added bonus is the games room which my husband appreciated! The barn is tastefully decorated and furnished, and cleanliness could not be faulted, you would not be able to tell that there had ever been pets staying! A short drive to Falmouth made it a perfect location and I would highly recommend staying here! Guest from Morpeth stayed for 7 nights. Truly stunning property and excellent accommodation. Beautiful location and perfect for exploring the area. Wonderful hosts who made us feel extremely welcome and were happy to help with any requests we had. .and can't wait to go back. It is clean, comfortable, warm, bright and airy. The best place I have ever rented for a holiday. Wow! Thanks you so much! Very much looking forward to seeing you again! We received a warm welcome from the owners and immediately felt at home. The property is located in a lovely quiet area but within easy reach of Falmouth. The Mill has been beautifully converted into a comfortable contemporary home. There were only two of us but it is very spacious and would sleep six very comfortably. We loved everything about it; it was probably the best cottage we have ever stayed in and we would certainly book again. Thank you! We are really touched by your wonderfully kind review. Guest from Dabll stayed for 7 nights. The mill has been well and thoughtfully converted but the bath was exceptionally high making access to the en suite shower difficult, although there is also a walk in shower in the second bathroom. For dog owners the secure garden was perfect and option to walk in grounds was a bonus. An excellent location for touring Cornwall. The owners could not have been more friendly or helpful. I am happy to have my name disclosed alongside this comment. Jeff Edwards. Guest from Bexhill On Sea stayed for 7 nights. Although we had seen photos of Carvosso on the website we were still surprised with just how amazing it is. The accommodation was perfect for the five of us plus one dog, plenty of space inside and out. We had such a lovely holiday it Carvosso, our only complaint was it went far to quickly ! Had an awesome week in The Mill at Easter. Accommodation was first rate as was the weather! Would not hesitate to return. Absolutely stunning. Thanks. Thank you - what a lovely review! This was our first visit, but certainly not our last! Louise and Andy were so warm and welcoming, taking time to ensure our stay was perfect. And it was! From the welcome pack onwards, all was A1. The property is furnished up to a standard, not down to a price. Cleanliness was superb. The whole place was clearly designed with love and care, and our only regret was packing up and leaving! Guest from Devizes stayed for 6 nights. A beautiful and very well converted Mill in a perfect location to enjoy everything Cornwall has to offer. Andy and Louise are the perfect hosts and nothing is too much trouble. The Games Room is fantastic for kids young and old! We couldn't fault it and will definitely return ! Highly recommended. Beautiful setting. Excellent hostess. Immaculate accommodation, what more can we say - except that we are already recommending Cosawes Barton to numerous family and friends! Thankyou! Corvasso Mill is a fabulous property. Everything has been done with care and taste, with seemingly no expense spared. The immediate location, the house and grounds of Cosawes Barton are beautiful and the area is perfect for easy access to anywhere in Cornwall. What more can I say? Highly recommended! Guest from Bisops Waltham stayed for 14 nights. Only two words are needed to give an honest review 'absolutely amazing'. If you are staying in Cornwall there is only one place to stay - Carvossa Mill.